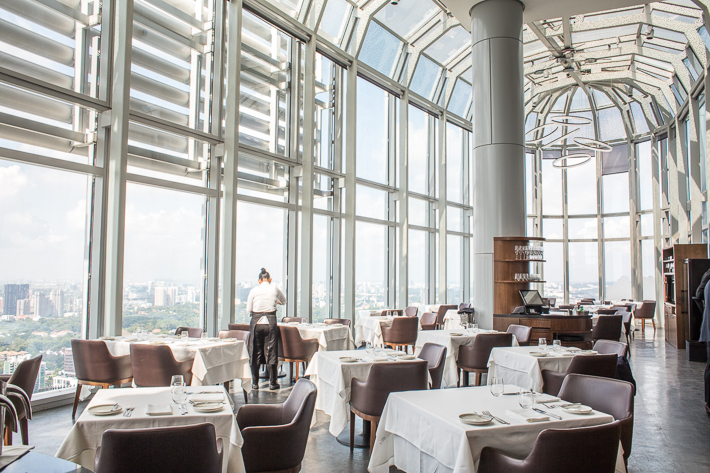 Floor-to-ceiling glass windows surround the restaurant, granting guests a stunning panoramic vista of the city from day through night. The kitchen is helmed by Australian born and bred Head Chef Jake Kowalewski, who strictly utilises only the best Australian produce in a clean and simple manner. On the menu, you can expect a range of Asian classics that are derived from these ingredients. Salt Grill & Sky Bar offers a neat range of tantalising appetisers for you to kick-start your meal on the right note. 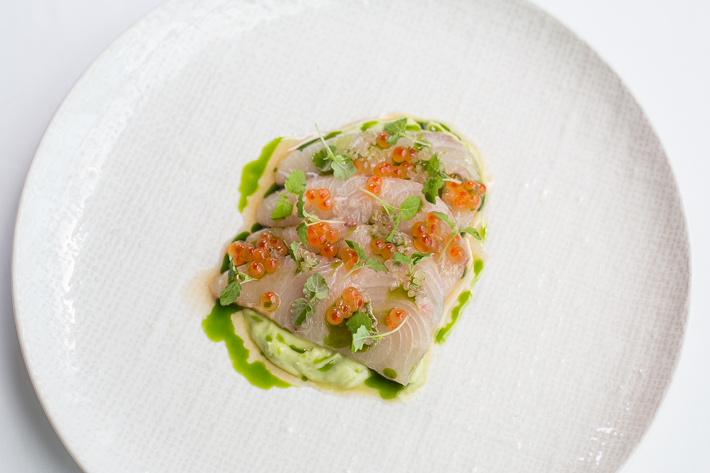 The Geraldton Kingfish (S$31++) is one that is set to impress with the complexity of flavours. Each slice of kingfish boasts a firm texture and a clean flavour. Served with Yarra Valley salmon pearl, avocado cream, white soy and herb oil on the side, these elements only serve to bring out the umami goodness of the dish. 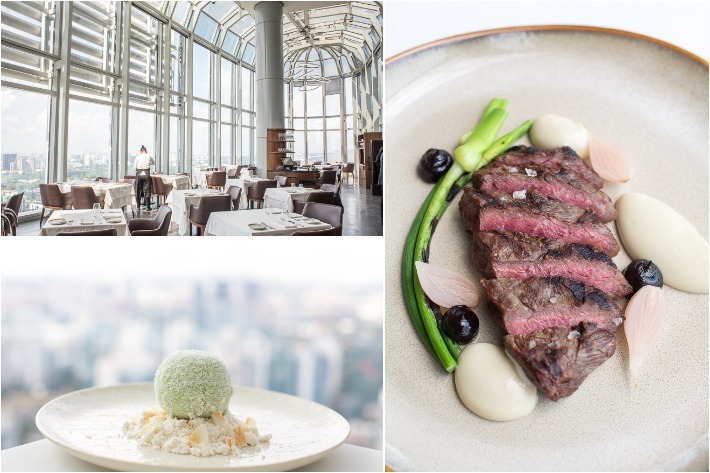 If you’re a fan of beef, Salt Grill & Sky Bar definitely will not disappoint. Priding themselves on serving premium Australian beef, they offer a variety of cuts that will impress diners old and new. The Westholme Wagyu Flat Iron (S$76++) came served with a pink-hued interior. Biting in, the explosion of flavours left us in total awe—incredibly tender, succulent and boasting intense flavours, this dish struck all the right chords in terms of taste and texture. 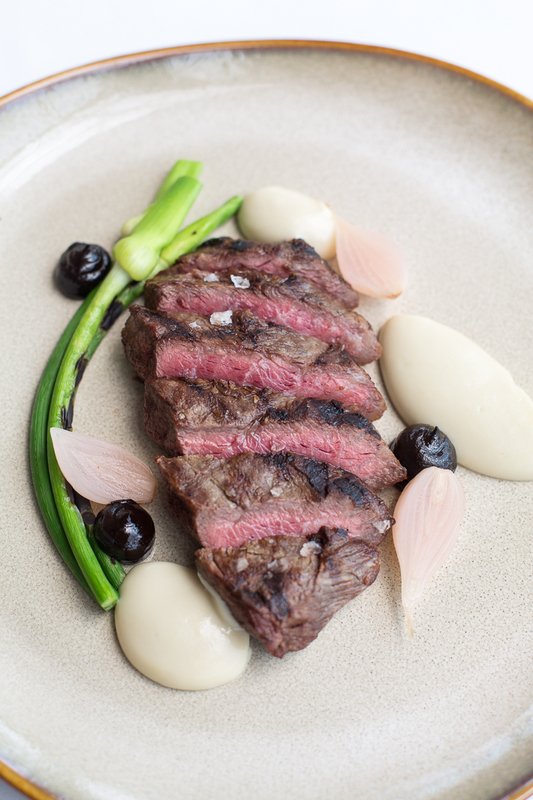 Other options include the Gippsland O’conner Pasture Fed Tenderloin (S$88++) and the Westhome Wagyu Rump Cap (S$69++). What better way to round off your meal than on a sweet note? Taking on a contemporary spin to the traditional Malay pastry, the Ondeh Ondeh ‘Lamington’ Pandan Chocolate Mousse (S$19++) encompasses the same flavours you would get in the traditional pastry but in a modern form. 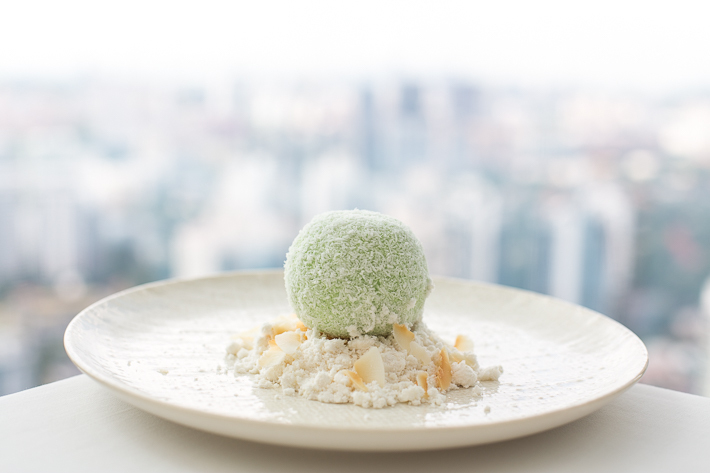 Sitting atop coconut snow and sponge is a ball of pandan mousse. Smooth, creamy and luscious, we appreciated how it wasn’t overly sweet. Hidden within the pandan mousse lies a helping of lava gula Melaka caramel, which gives the dessert an extra oomph of sweetness.